The premier 50-minute race at MG Live on Saturday 25 June. This will be for 1950 to 1965 GT and Sports cars complying with the specifications required by FIA Appendix K and running on Dunlop L, M and R Section Historic tyres. The race, using the Grand Prix circuit at Silverstone, is for one or two drivers, with a mandatory pit stop. The entry fee is £450. A £100 deposit will reserve an entry, pending publication of the Supplementary Regulations. Entries close on 11 June. Practice is in the morning of Saturday 25 June, with the 50-minute race in the afternoon, so it's possible to participate without the cost of overnight accommodation. The maximum grid size is 58 cars and five reserves will be accepted. There are overall and class awards, based on both 'scratch' (overall classification) and 'Handicap'. The overall winners of each category will receive a Thomas Cook travel voucher to the value of £500. 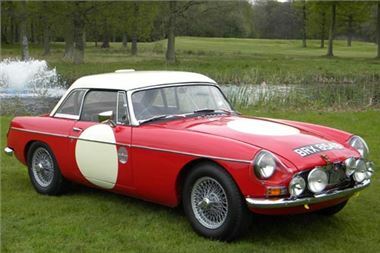 Entry forms are available on the MG Car Club website at www.mgcc.co.uk or by calling Steve Carr on 01235 555552 or 07779 156801. MG Live: www.mglive.co.uk organised by MG Car Club, is on 25/26 June and is the world's biggest MG event for MG Owners.